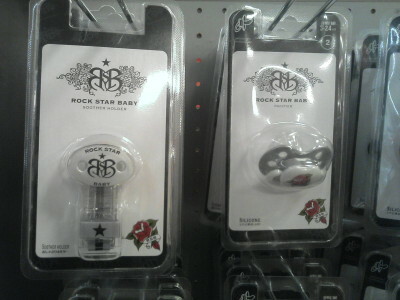 I was just going through some photos on my keitai, and found a couple from a few weeks ago I’d completely forgotten about: the Bon Jovi ‘Rock Star Baby’ line of baby products we found at Babies R Us. It sickened me even more than a fair few of their songs. 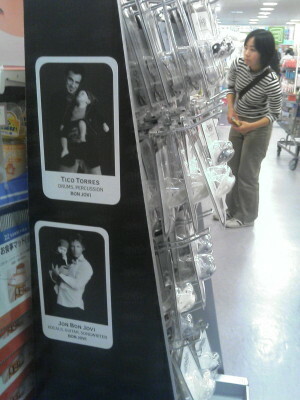 I rank these efforts up there with the horrific ‘Bed of Roses’ rather than the tolerable ‘Keep the Faith’. What the hell is wrong with ‘Rock’ stars These Days? ?